Windows 10 was basically a new chance for Microsoft to unify the desktop as well as mobile ecosystem using Windows. Microsoft’s vision of having one single operating system for both mobile devices as well as desktops has become true to a huge extent with Windows 10. Features like Continuum allow users to use their Windows 10 system on any type of device in its best form i.e. Windows 10 automatically detects the type of device it is being used on and then adapts as per the device and so if you are using it on a touch-based device, then Windows 10 will automatically adapt the UI which is best suited for touch-based interfaces. Anyway, one of the many new things on Windows 10 was Microsoft Edge which is a totally new browser that Microsoft has developed in order to provide a better Internet browsing experience to users. But as you know Windows 10 has many bugs and sometimes people do run into some of these annoying bugs. One of the bugs is Microsoft Edge disappearing totally from the system and only appears when you open some news on Cortana. 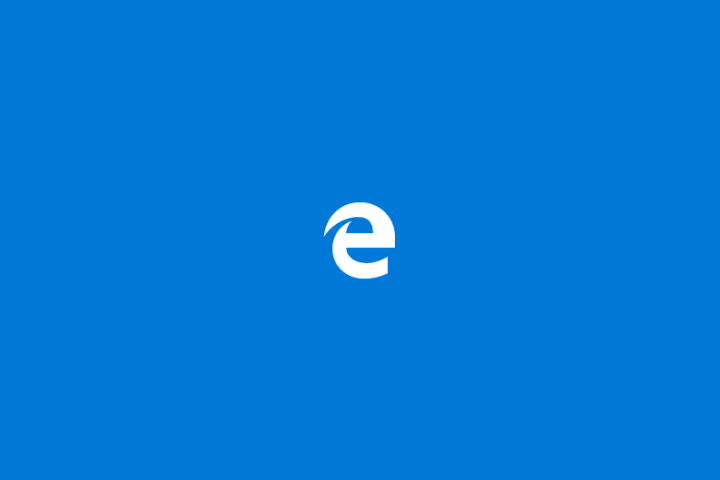 In this post, we will go ahead and fix the issue of Microsoft Edge disappearing so let’s get started! Search for it – It might be there! Solution 1 – Search for it – It might be there! Maybe you the Edge icon has just been unpinned from the taskbar? You can actually find it again by following the steps below. Open Start Menu and type Edge. You will notice that Microsoft Edge pops up in results. Right click on the result and click on Pin to taskbar. 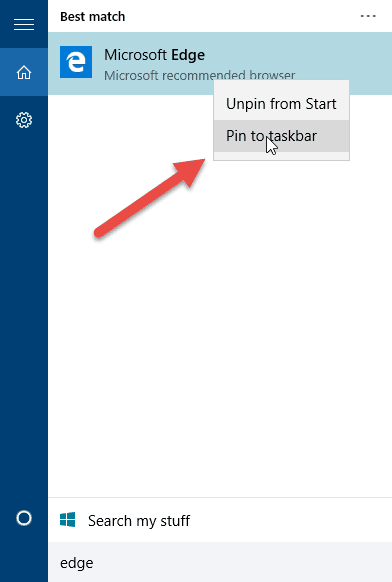 There is also an option to Pin/Unpin from Start which means you can either pin or unpin the icon from Start Menu. After you pin it back, you will be able to use Microsoft Edge properly without issues. System file checker is a command line based utility that can help you in scanning the corrupt files on Windows and it can also restore the correct files replacing the corrupted files. Follow the steps listed below to run System file checker. Press Windows + X keys on your keyboard and then click command prompt(admin). 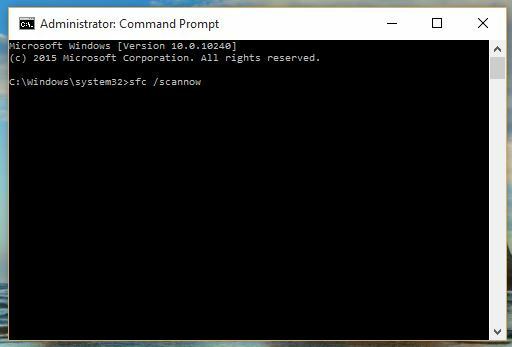 Now you need to type in the following command in command prompt and press Enter. This should fix the issue of disappeared Microsoft Edge on Windows 10. But if it hasn’t, move on to the next method. 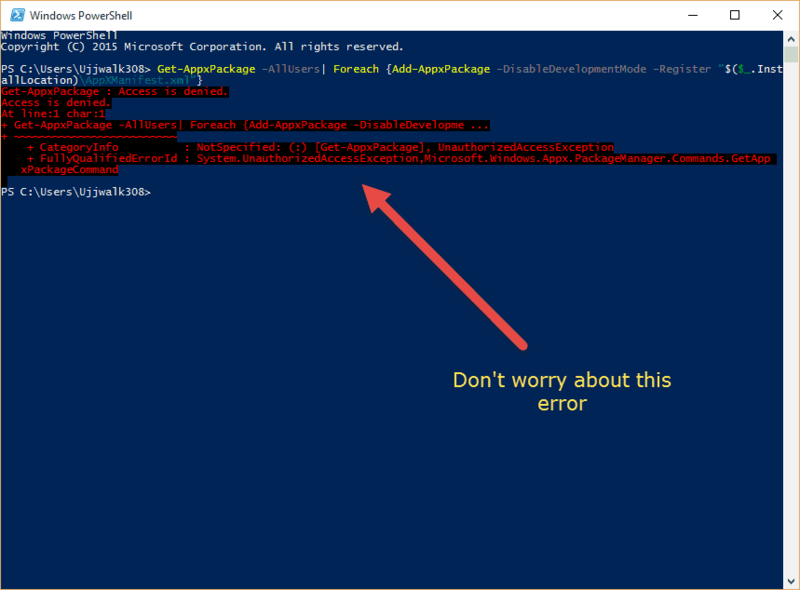 Windows PowerShell is Windows’ very own task automation and configuration framework that works with a command line interface. You can use it to fix the issue and have Microsoft Edge back. Follow the steps below. Open Start Menu and type PowerShell. You will notice that two results will pop up. Choose the one that just reads Windows PowerShell. Now enter the command given below. You might see some error but no not worry about it. After the command is executed, restart your PC. Go to Search, type firewall, and open Windows Defender Firewall. Select Turn Windows Defender Firewall on or off. Disable Windows Firewall for both private and public networks. Confirm selection and try updating again. The same goes for your third-party antivirus. Although it’s supposed to keep Edge secure, your antivirus can also prevent it from working. So, the solution is to disable your antivirus for a couple of minutes, and see if Edge works with the antivirus off. If the browser works, you can add it to the antivirus whitelist, to prevent further interferences. 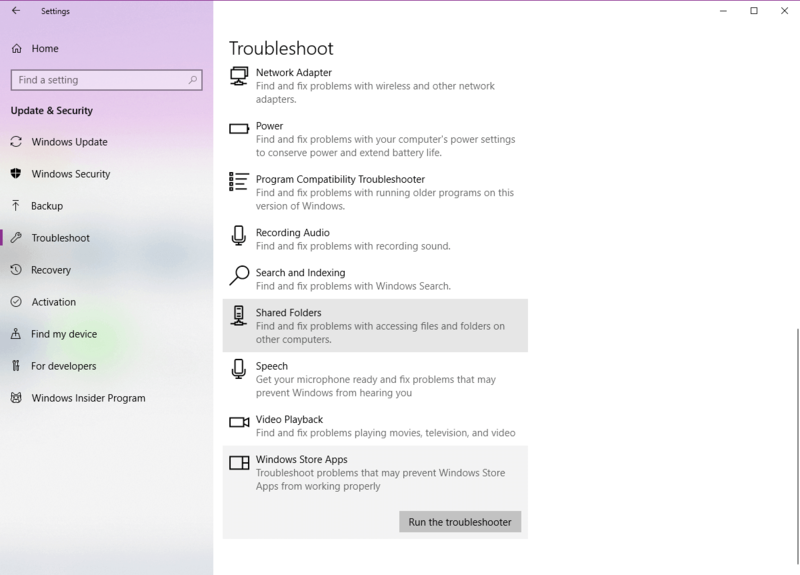 Select Windows Store Apps, and go to Run the Troubleshooter. As Microsoft Edge is a part of the Windows 10 OS, it regularly receives updates through Windows Update. If your problem with Edge is well-known, Microsoft is probably already working on the fix, which will be delivered through Windows Update. So, just keep your system up to date. To check for new updates, go to Settings > Updates & Security, and check for updates. Just like a new update can resolve the problem, it can also cause one. Windows updates can sometimes disrupt the whole system, let alone one part of it. If you suspect the most recent update you installed on your computer caused this problem, simply go and uninstall it. Head over to Updates & Security > Windows Update. Go to Update history > Uninstall updates. 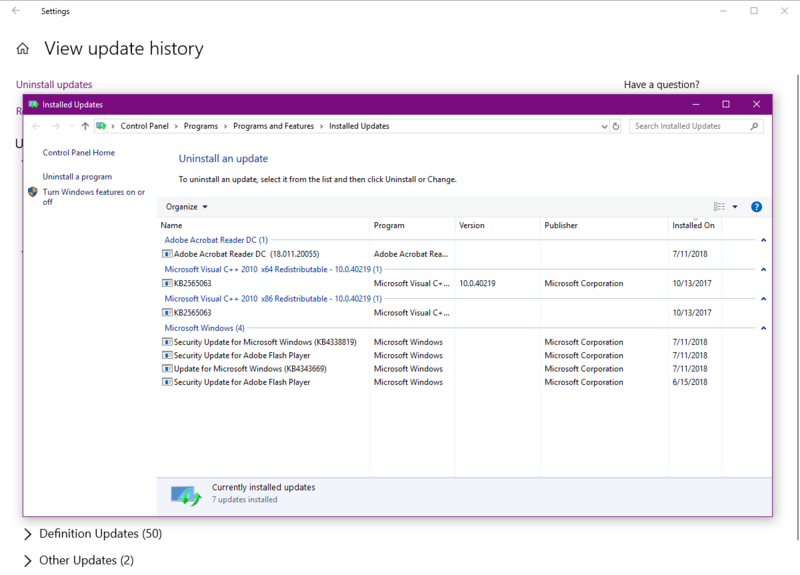 Now, find the latest update installed on your computer (you can sort updates by date), right-click it, and go to Uninstall. Go to Search and enter %localappdata%. Open the AppDataLocal folder. Go to the MicrosoftWindows folder. Locate WER folder, right click it and choose Properties. Select APPLICATION PACKAGES user and check Read & execute, List folder contents and Read options in Allow column. These are three methods that should definitely fix this error of Microsoft Edge disappearing for some odd reason. But seriously, Microsoft needs to look into this annoying bug and they should fix this with an update as soon as possible.